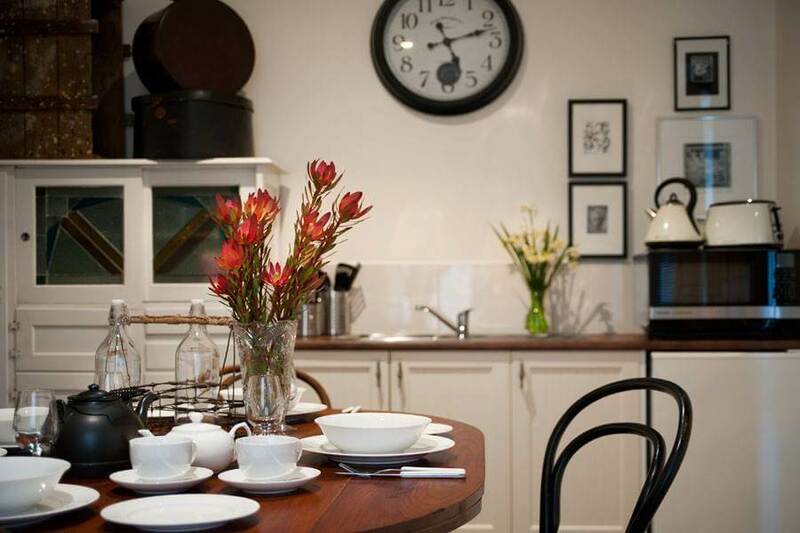 A period cottage in the centre of town, Charlies Daylesford features 1 bedroom and 1 bathroom. Just what you need for a Daylesford getaway. Located in the heart of Daylesford, Charlies is an ideal Daylesford getaway. With a large spa bath, canopy queen bed, and a beautiful garden, this is the place to relax and unwind. The cottage has beautifully designed interiors where cosy meets luxury, and with the town on its doorstep the property’s location is unmet by any other. Charlies also comes equipped with a kitchenette for a touch of convenience. All houses as part of The Houses Daylesford include complimentary onsite parking. Houses are conveniently located close to many shops and wellness centres around Daylesford. You may be interested in our other properties – See what Circa Ivy Prince has to offer your next vacation, perfectly located in the heart of Daylesford, or check out the magnificent One Bee, or browse our other luxury choices in Daylesford accommodation.